Let’s see what ICO is like for some start-ups. Spectrecoin is one of 5 the most successful ICO start-ups in blockchain area nowadays. The idea of Spectrecoin is anonymous transactions among token’s exchange via Proof-of-Stake v3 consensus. The core of the business is an HD wallet based on ShadowCash protocol, what consumes a low amount of electricity and leaves no trace in the network. Today Spectrecoin’s market capitalization of it is more than $8 mln. When CEO and Spectrecoin team inspirer — Mandica — became seriously ill, the ICO started fading out. Investors stopped believing in the idea proposed by the team. As a result, a bad reputation about Spectrecoin as a non-perspective startup spread out around the globe. Most of the supporters who already bought the tokens were upset and consider this as a sunk cost. Overall, only $20K has been raised during the ICO. Public ICO was closed on January 6th, 2017. But things changed when Spectrecoin started to overcome the crisis in August 2017. A new development team has brought the second wave of Spectrecoin evolution. So far, the project is ongoing, and a new price of XSPEC coin is to be around $100-150 per coin. Keep in mind an initial coin offer of $0.001 brings the investors about 103628% profit. A strong team lead by Roger Haenni — an experienced professional in big data startups launch, presented a new project named ‘Datum’. The idea behind Datum is to process and structure users’ data and sell it to any stakeholders under certain terms. Data is being collected from social networks, wireless peripheral devices or other sources of user behavior. Once in October 2016 Datum team decided to try an ICO, project risks were determined as 3.7 out of 5.0, and the ICO campaign was interpreted as a high-risk one. Investors requested a big team of consultants for the project in order to keep it on track. Also, there were some comments regarding the huge spread in industries covered by Datum developers: there might be better to focus on 1-2 niches to satisfy. Data ownership concept is not a new one. The concept stands for not only data collection by security offices, but also people’s desire to keep the data hidden. The largest data volume nowadays is in medicine industry. Plenty of people use cases which need to be controlled and regulated by the owner. After buying the coins, Datum token owners become a part of a large network scale. 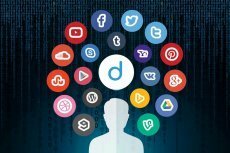 Datum is a company that plans on changing this by allowing users of its app to extract and backup their user data from various other apps and services and then share or even sell this data. Most importantly, the sharing is done anonymously by default, which will appease many people who worry about their personal information falling into the wrong hands. 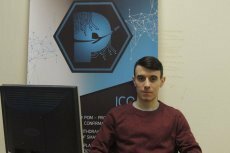 Within 2 years an idea has grown in an IT-company Paymon with a core business for cryptocurrency holders and blockchain technology users. The team has expanded up to 20 members with a big pool of Big-3 advisors and supportive investors from Russia and abroad. The whole community of Paymon is developing rapidly along with presenting a new technology to the market. Paymon develops a business platform ‘Profit’ specifically for one-second safe transactions and payments. You don’t need to buy an extra solution for business, once you join a Hive with its Profit platform. Paymonhelps you easily launch your business, start selling goods or services, and receive payments in cryptocurrencies. No more long queues in tax office to register LLC. Proof concepts is organized by every user identification and rating within the network. New blockchain technology — Hive — disrupts an existing one by its DAG (directed acyclic graph) algorithm. Paymon is more than currency exchange service: Paymon messenger + Paymon Wallet. Now you can unite all existing wallets of different cryptocurrency wallets in one with PMNC coins, and then easily send BTCs or ETHs to your friend or business partner. Hopefully, Paymon might expect a different attitude and warmer welcoming at the ICO stage,since it has already overcome an era of early birds and has managed to build a strong Hive community in the market so far. 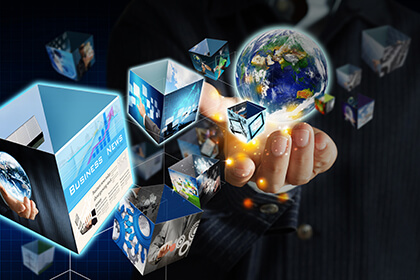 Paymon consists of ambitious founders, consultants, developers and analysts. Today it’s a promising business, if some misconception won’t call it ‘scam’. On the other hand, there is a number of ICO frauds growing on the market as well. For instance, from the beginning of 2018 $9 mln is being lost on a daily basis. In April, 2018, there was a huge scandal in Vietnam regarding fresh ICO, which wasn’t an ICO at all, but a scam. Investors have lost about $600 mln of their money. Among all of those dirty ICOs it’s hard to see a worthy one, but you’d better.